High-class batting and bowling feats that had to be seen to be believed did everything but secure a victory against the Golden Age who did not look ready for the scrapheap just yet. It’s probably best to begin by saying this may be my final match report as we have a far superior wordsmith in our midst. A poet no less. The Duck, AKA Lord Byron, has such silk in his penmanship that he can bring women to tears – and we have Facebook and Mrs Duck’s willingness to share this with the world to thank. It was appropriate that his seasonal bow came in the afterglow of such a momentous Facebook post. It is to the Pelicans’ credit that they were able to perform with such distinction so as to render ‘the poem’ a mere sideshow. A loss of toss saw the Pelicans offered first use of the facilities and an opening partnership of Tickles and JG cashed in. There was a dilemma first up, with Ticks unsure of whether to bat in or out of new spectacles. Suave and debonair was left on the sidelines as he strode out au naturel. It was a bold decision and one that could have left him red faced as he offered up a chance first ball. Reprieved, he duly went on to flay the ball all round the Meadow. A fine platform was laid, which allowed the Duck to stride in with purpose. A career that had yielded exactly no runs was not weighing down on the Duck as a purposeful forward defensive kept the first ball out and a swish of the blade on the second sent the ball out towards square leg. A scampered single brought the kind of celebrations that would have brought a tear to the eyes of Mrs Duck, had she bothered to turn up and witness it. The Duck’s confidence was sky high, which prompted a swipe at a straight one which cut him down in his prime. But there was still time for Joan, the Skipper, Butch, Kaz and Jalil to feast on the fodder and take the Pelicans well past 200 at tea. A new opening bowling partnership of Kaz and Toobes – that’s animal lover Toobes who played big game hunter by catching a rodent that has been living in the clubhouse roof for six months and instead of whacking it with a pan chose to release it into the wild (it’s now likely to be just waking up and boiling a pot of coffee in the clubhouse kitchen) – brought a mixture of runs and wickets, as the Golden Age played willing opponent by taking up the chase. An opening batsman attempted to lull the Pelis into a false sense of security by batting in the wrong gloves. He made a decent fist of batting, although he was aided by some limp fielding. There was a literal limp where the Butcher was concerned. An alcohol fuelled incident with a sofa explains the bruised toe, but it does not explain away the Doris moment in the field. It was a rather camp jump out of the way that drew shaking of heads from team-mates. Fielders are not required when you have a Tickler in the team. The opposition were made to regret laughing at his name as despite a shortened run up due to injury, he ripped their middle order to shreds. Hat-tricks are the sort of feats that usually win the Champagne Moment. Not this year, as to do that you need to take four wickets in four balls. Batsmen came and immediately went as Ticks rolled back the years and all this without his new specs. The limpet-like left hander kept the Pelis at bay, despite being dropped twice and clearly run out once, as the Golden Age held out for a draw. But there was still time for a barbecue, which gave PG the chance to lock Mrs Duck in the clubhouse – which will teach her for posting poem updates on Facebook. Reports are intended to convey an entertaining picture of the day’s play. No disrespect is meant, but if on occasion we misjudge matters, please take it in the friendly and humorous spirit in which it is intended. The Pelicans took on the Misfits and, with a 199-run opening stand as a platform, the noisy neighbours were given a good slapping. True to form, the skipper lost the toss. And what a masterstroke that proved to be. The Misfits captain had no hesitation in asking us to have first hit. Probably his worst decision since the last time he asked a team to bat first on a baking hot day. Clive and JG strode out, to be faced with a South African – the one nice one from that area of the world – charging in from the top end. 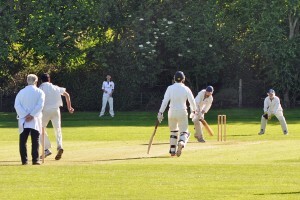 Clive offered an edge at the first ball, which their keeper put down. He put another one down shortly afterwards, which proved to be somewhat costly as the Pelis openers did a very un-Pelican thing: make runs. To be precise, they made 199 between them. Yes you read it right, a 199-run opening stand. The game was passing off with little friction until on 98 Clive appeared to snick one behind. The keeper clung on, the appeal went up. Clive was unmoved. Well that rattled the cage of Mr Misfit who caused all the unrest two years ago. A sustained verbal barrage was aimed in Clive’s direction. I believe the word cheat was uttered on a couple of occasions, as were a few expletives. A stoic Clive turned his back, literally, before passing the three-figure mark with a flick of the ball over midwicket. He soon departed, having built the platform. JG continued on his merry way, cameos came and went as the Pelicans took tea at 229. Some would call it a position of strength. That view was reinforced when Toobes and Josh started taking wickets. Out strode Mr Angry, who was greeted by complete silence from the Pelicans. He took on the challenge, which proved a mistake as an attempted hook of a Josh bouncer resulted in a rather large bruise on his forehead. Suffice to say there was little sympathy aimed his way. He didn’t last long as the Pelicans produced ruthless efficiency with the ball. There were a few moments in the field, Josh’s parting shot before heading off to a life of beer, baked beans and a lack of soap at university was to shell the sort of chance my dear mother would have taken, while there were a couple of strategic dives from Joan Cullen to avoid having to run for the ball. It’s taken a few years but Toobes has found his position in the field: second slip. A stunning low catch from our Northern hero brought great scenes of joy, while a scampering senior Bailey showed his son how to catch with a diving effort of his own off Asad. Things were swiftly wrapped up, as the Misfits limped past three figures before being put out of their misery. A dull draw, with Pelis recovering from early alarms, but disappointingly little effort from the opposition’s batsmen to win the game. Roll back a few hours and that didn’t seem a likely scenario as the Pelicans top order were in tatters. Sushil got a good one, Ticks left a straight one (again) and Jal fell as well to leave the Pelis in a pickle. When in a pickle the wisest move is to pluck a man from a bottle of Tequila. Up stepped the Butcher. He wandered out to the crease muttering something about ‘not being in a good place’. ‘A man with a worse hangover than Mike Gatting in his final Test’ (credit to Tickler for those words) certainly stepped forward as he rescued the Pelis. The Butcher set the platform, Bails and Toobes launched from it. Fuelled on Polish lager, Toobes found his batting boots and he provided fine support for Bails who sent balls scattering all over the meadow. 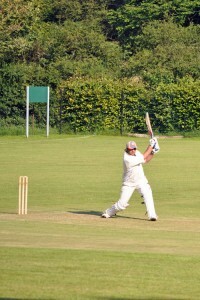 His 50 took the Pelis to a healthy 147, a total we felt was defendable but not insurmountable. We strode out after tea as 11 men, but were swiftly reduced to 10 for a few overs as Tiger went seeking medical attention for an injured paw. He returned a few overs later with said paw looking a little tender. Back to action. Sadly there wasn’t any from the Bohemians batsmen who adopted the stonewall approach to batting. Overs ticked past and even when goaded into having a dig, they simply refused to go for the chase. The ball was tossed to Ticks and he produced a beauty first up to make the breakthrough. Sadly another thing that suffered a breakthrough was Ticks’ hamstring. He tried trotting in off two paces but was quickly retired to first slip. And what a first slip he proved to be, taking an absolute stunner. Asad ripped out a couple, Josh and Kaz likewise and there was hope that victory could be snatched but the Bohemians lower order put up a brick wall to claim a draw. The Pelicans are back on the winning trail after coming out on top against a surprisingly strong Widmer End. The boys from Widmer End have proved to be whipping boys for the Pelicans in recent years, but they moved to remedy that by bringing in three ringers from the mighty Great Kingshill. ‘The guy driving the Fiat is a quick bowler’ was the word from our spy in the Kingshill camp. And with a couple of decent batsmen drafted in as well, Widmer End were no whipping boys on this occasion. Having been asked to bat first, Clive and Sushil strode out completely unaware that Ticks was taking his scoring duty seriously by noting down balls faced. That’s not good for someone like Clive so it was probably just as well for him that he fell early on. Joan Cullen’s stay at the crease was all too brief but the Butcher, cheered on from the sidelines by his black Labrador that goes by the name of Pippa, put a bit of pace to the game with a swift 15. But the hoped-for middle-order charge did not play out as envisaged with Bails falling for a duck and Ticks doing likewise, seemingly determined to get back to his scoring duties. A partnership was needed and it was duly found as the skipper and Sushil brought the game back in the Pelicans’ favour. A host of balls were lost over the road, while Sushil caused concern for those on the 15.27 from Great Missenden by launching one way over the railway line. Sushil fell one short of his 50, which prompted a lengthy debate as to whether you would prefer to be told you are on 49 or not. It’s a question not often fielded by Pelicans, hence the lengthy debate. Some late hitting from Gov took the Pelicans to a respectable 169 at tea. AND what a tea. The bar has been repeatedly raised this year, but it is fair to say that Mary has reached heights that not even the likes of Sergei Bubka could reach. Spicy king prawns, homemade scotch eggs, a mini Sunday roast consisting of Yorkshire Pudding, roast potato, roast beef and mustard were just some of the treats on offer. Full marks and I pity whoever is up next for tea making duties. Fuelled up, the Pelis stepped out with confidence. But they soon found that the Widmer top order could bat, and bat pretty well. Gov prised out the No. 1 but this brought in an Inzamam lookalike. He had the act off to a tee with a lustrous beard, graceful strokes and complete lack of desire to run. Inzi was given a life when Ticks decided to push one round the post. It was the sort of chance that had some Pelicans looking to see if Mary was still at the ground so we could bring her on to field in Ticks’ place. But Ticks is not a man to shrink into the shadows, and he made up for it by pouching Inzi just when he was starting to look extremely dangerous. Widmer End had one ace left in the pack: the Fiat-driving quick bowler who doubled as an opening batsman. He could give it a bit of a slap, but found Asad too tricky a puzzle to work out and he fell lbw for 40. The game was not yet done as Widmer were well up with the rate, and Ticks had time to drop another catch – although this was a toughie – but another five-for for Asad took the game away from them and the win was sealed when Bailey and Bailey combined to run out the Widmer No. 11. An early finish to a steamy day that saw ball defeat bat at the Hit or Miss ground. The two teams assembled in disappointing quantities – only 8 Pelicans and the hitmiss boys had dredged up another couple late on to make 10. 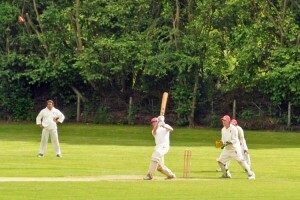 Still, some of them looked non-cricketers so spirits were not dampened by being outnumbered. Skipper for the day Papa Doc Bailey looked to give Clive an early way into the game by winning the toss and slotting him at the top of the order with last week’s partner/victim Young Charlie. Imagine Young Charlie’s disappointment at Clive’s demise in the first over, played on after a couple of lovely offside shots. His apparent security at the crease was short lived, slapping a rank long hop to cover for a duck. Two in two overs, and the Rehman usual arrival time of one minute before play meant that Sushil was forced in at number 3. Good man in a crisis, Sushil took the chance of batting at number 3 to bat like a number 3. All straight bat and elegance, he started to build a nice partnership with Laser Eye Rehman. A beautiful off drive (official “Shot of the Day”) was followed by missing a straight one. Papa Doc also missed a straight one, I mixed it up by leaving one that turned into off stump. Catastrophic crisis? Possibly. Could Jalil make some important runs with our late middle order tail of 7 and 8? Er, no. Another “swing miss castled” scenario. Clive finally bagged his Peli of the Day by getting an lbw decision on Josh, and the Pelicans had “achieved” a score of 44 for 7, or in this case 44 all out. Not pretty. Indeed, pretty ugly. But we comforted ourselves that the pitch was two paced and had variable bounce – they still had to get them…. It started well. Hit or Miss had obviously decided that a target of 45 should take no more than 5 overs. Josh bowled full, straight and at pace and picked up a bowled victim in each of his first 3 overs. Huffing and puffing at about 13 yards less pace (I was DEFINITELY bowling into the wind) did winkle out their dangerous number 3. All of a sudden the game was on – 10 for 4 chasing 44 – and a first ball ripper from Asad showed that he could get some turn. 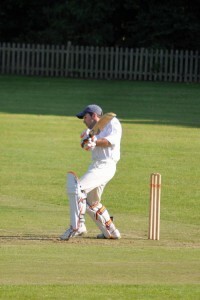 But ex-Pelican Jules Messent was at the crease looking to shepherd his part time cricketing partners to victory. A 20 run partnership ensued before a Rehman lbw. Sushil was running around the covers like he owned them and when given the ball, nicked out a caught-and-bowled. So now we’re down to 2 wickets left to get. The famous Asad faster ball was too much for their number nine, so with one wicket remaining they needed 3 more to win. It was strangely fitting that 5 extras was what done it for them, a victory for Hit or Miss by a single wicket. So cricket really wasn’t the winner, and Pelicans are beginning to gather a South African reputation for missing out on tight finishes, in this case even without Toobes. It was back to the same old problem as a narrow defeat at Middleton Stoney brought our winning streak of one game to a halt. The sun was warm the sky was blue and the setting looked as ever perfect for a grand game of cricket. The toss was taken and amazingly won by the stand in skipper yours truly. In the fine tradition of Yorkshire decision-taking I decided to bowl. 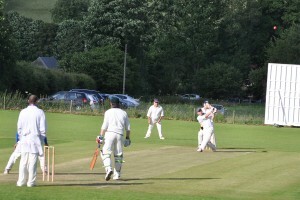 The pitch was lively and opening bowlers of Kaz and Tooby kept the run rate down whilst also grabbing 2 wickets apiece. I must mention that their opening 3 looked quite tasty and had decided to try and smash the ball as far as they could. This proved a useful tactic until a ball travelling at mach 4.8 travelled to Clive and with an instinctive lifting of the arm only managed to hold onto the ball one handed as it slapped into his palm rendering the inside of his hand the outside – excellent catch! Kaz having been slapped for a couple of 6s got revenge on the number 3 and eventually had him caught and bowled for 40. So what was the right verdict about Tooby’s ‘beamer’? But then the nub of the question is really the speed of the ball. Should we insult Tooby by calling him a slow bowler? Or was his slower ball – which he was trying to bowl – sufficiently slow to be called ‘slow’? If so, above waist height but below shoulder height was a legitimate delivery and the batsman should have gone. Tooby bowling his slow one of the over managed to send it up but unfortunately the down bit didn’t happen as quick as intended, the batsman who stood some five and a half feet tall in Cuban heels for some reason decided to duck underneath it (a move which would have done a limbo dancer proud he got down so low) rather than cart it off into Bicester Village. When the ball did decide to return to earth it landed on the bails. The batsman walked, the umpires said nothing, the batsman chuntered something about it being above waist height, then moaned about it being above waist height, then stood next to the square leg umpire further discussing the height of the ball. To cut a long story short the umpires didn’t know what to do even though Clive was very happy to put forward his opinion that he wasn’t out. In the spirit of the cricket gods he was called back to the crease. A change of bowling brought Asad and JG forward and typical tight bowling from JG brought him 2 wickets for very little and Asad in uncharacteristic form could only manage 3 wickets though again for very few runs, but still it wasn’t a five-for. The Stoney innings was brought to an end with a total of 96, special congrats to Charlie who was brought in at the last minute and kept wicket in fine form with run outs and catches, more about him though later. Tea was taken and the Pelis took to the field at about the same time as the flying ants did. JG and Clive got off to their usual start putting on a partnership of about 50 until JG was bowled, the Ice Man Gibson came to the wicket and unfortunately decided to stand in front of his wickets stopping the ball from hitting them… LBW. At this point out came Charlie, first ball stroked nicely for a four, 96 should be no problem. Unfortunately we didn’t count on Clive, a shot was taken and to be fair there were 2 runs in it. Clive shouted for the two as the ball trundled off but as the fielder was getting closer to it Charlie decided not to return for the second. Clive, naturally the Alpha cricket male, decided such impudence would not be tolerated – he has run out far bigger fish than this youngster – so insisted on the second run. A plaintive shout of ‘no’ was ignored as the fielder was now throwing the ball in. Clive, though, looking like a rutting deer would have none of this refusing and continued down the wicket, insisting the youngster get up the other end and run himself out which he did. Charlie left the field muttering murderous threats; Clive stood there muttering ‘there was an easy two’. Still we were looking OK, and with Clive there we could grind out a victory, well that was until the next couple of balls when Clive got himself out LBW. Naturally it wasn’t out but look in the book. Jalil was out in the field and looking very good, Nicholls C (the other one) went out and came back quickly followed by Kaz. It was during this period that the Stoney chaps appealed for an LBW on Jalil, Ice Man Gibson didn’t give it and was then subjected to a barrage of ‘cheat’ from the bowler – so much for calling their man back. Tooby went out and Jalil decided he was bored with proceedings and headed back to the pavilion swiftly followed by Nicholls Junior who forgot what a crease was, not much call for them in baseball. This left PG and Tooby, I am sorry to say that with 7 needed for a win Tooby was bowled and victory lost. 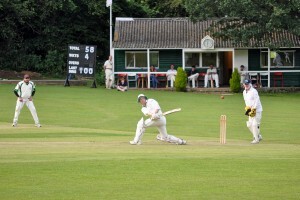 A Rickmansworth raiding party were sent packing back across the border as the Pelis win machine sparked back into life. After the rollercoaster that was a tie at Wendover and a damp squib of a cricket week, the sun finally came out and a band of hungry Pelicans, fed quite superbly by the Butcher (a few nice touches “raised the bar” was one quote from a Peli tea rival), came out strong for a crushing win. The win wasn’t all it was cracked up to be, as Rickmansworth could muster just the 10 men, their innings held together by only one effective bat. He was actually pretty good though and after being put in, he took it upon his shoulders to crack the ball around the Meadow. Sadly, he had scant support at the other end. Just two balls in and Josh whipped out an opener. A quite startling feat given he had his trousers on the wrong way round (the driving test instructor that made him legal on the road should hang his head in shame). Having turned his trousers around, Josh’s radar went a little awry. Make of that what you will. Toobes, though, took on the role of miser with great Northern relish. 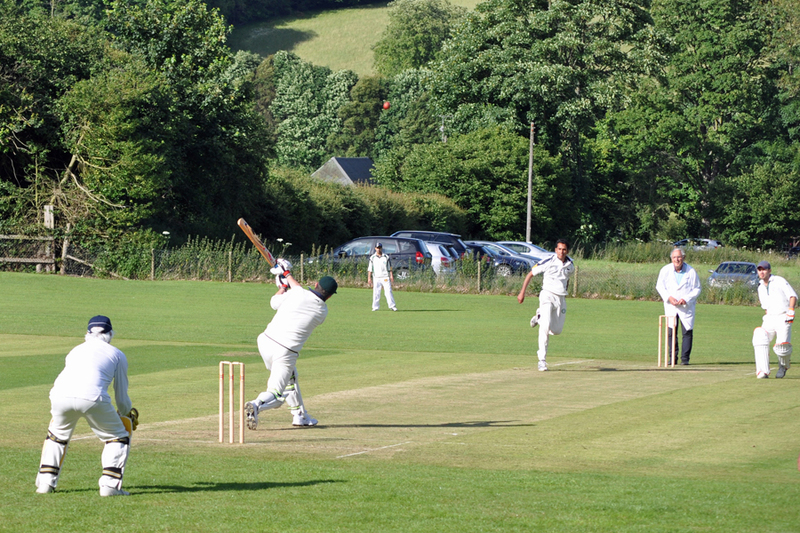 Eight overs, one for 12 should really have been four runs less – but John C attempted to stop a ball like someone called Joanne C and it dribbled past him to the boundary. The Pelis went out full of confidence and for the first time this year the top four all made double figures. They didn’t get deep into double figures and a flurry of wickets set players scampering for pads, but Kaz and the Butcher crashed a few lusty blows to take the Pelicans home long before 6pm. Pelicans 1 Afghanistan 0, as a band of Afghans from Oxford were ruthlessly dispatched at the Meadow. Having turned up fashionably late in convoy, the Wayfarers elected to bat and within nine balls Anglo-Afghan relations were soured as the opener took plenty of the ball with the edge of the bat, but the catch was not given and said batsman stood motionless muttering in his best Pushtu that he had not hit it. Toobes did the best thing possible in such circumstances: knock over middle stump – twice. Aforementioned opener offered an even bigger edge a few overs later that even he could not disguise and the Wayfarers were struggling. Number four came in and shaped like a decent batsman, only to be cut down in full flow. Pelicans were scampering after the ball to save a run when Josh cleared his throat, which the umpire perceived as an appeal, and the finger of fate responded. Wayfarers were in trouble and it got worse when Tickler, revelling in bowling down the hill, ripped out four in the space of two overs. This had the look of a rapid finish, especially when an Afghan wandered to the crease without a pair a gloves. Laughs were soon stifled as he took aim and lashed a few to the boundary, but he fell into the Butcher trap and a maiden Pelican wicket came his way. The skipper was filled with guilt at taking off Tickler one short of a five-for, so he was tossed the ball for a second crack and duly claimed his scalp to send us in a good 45 minutes before tea. With a target of 101, the Pelican openers were sent out with licence to get the job done before tea. This was clearly lost in translation as it appeared the plan was to score as few runs as possible before tea. Overs and runs were neck and neck in that thrilling 45 minute period. Having stocked up on carbs at tea, Robert and John set about stepping things up. A lusty blow brought Robert a maximum, but it appeared to go to his head as a repeat attempt ended in disaster. The skipper strode out, and then promptly came straight back having not wasted any of the scorer’s ink, and when John and the Butcher swiftly fell palpitations were felt. Surely not another Pelican collapse? Fear not as Bails, who fully cashed in on being bowled off a no-ball, and Tickles set about the attack. With PG doing his best to annoy an Afghan medium pacer with some superb no-ball shouts, the spirit was knocked out of the opposition and victory was reached long before Spain put Italy to the sword in Kiev. It was a day of sunshine and a little bit of Bollywood starshine at Nags Head Meadow as the Pelicans welcomed back their old friend victory. With our skipper forgetting the timing of his flight Tooby Frank was thrust in to do the honours. As is customary, the toss was lost and Kensington fancied their chances at bowling. Out strode Clive and Ed/Ted Fraser to lay down a solid foundation, in no time at all looking like a natural Pelican Ed/Ted was making his way back to the pavilion, bowled by the rapid Kensington opener Roy. Cullen took to the wicket and after building a steady platform of 20 with Clive after 10 overs the order was sent out to the batsmen to open up, and open up they did, with Cullen falling ( run out ) and Gibson visiting the crease the score accelerated to 36 after 20 overs. With this type of explosive cricket it took a swarm of bees to liven things up, players hit the deck and the bees realising that more exciting games were happening elsewhere flew off, as the Kensington young fella who can now see over the stumps reduced the Pelicans to blocking shots. Rahman had by now entered the theatre of dreams and spanked a quick 27 before falling LBW, Clive at this point fizzing past 10. 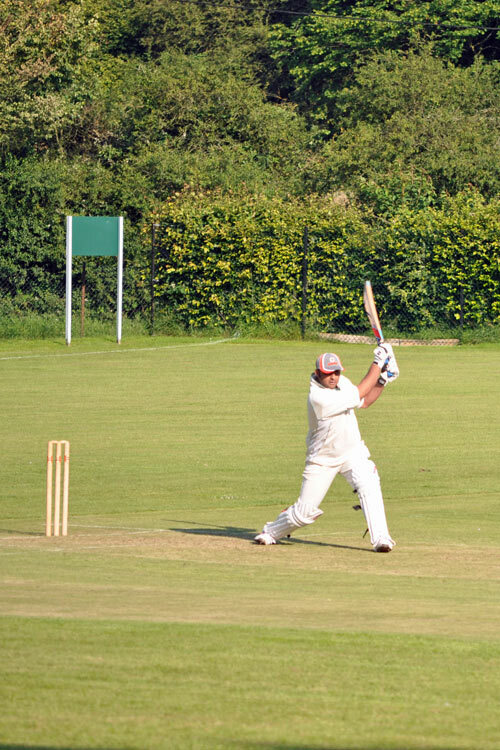 In came Rags looking splendid on his first game of the season until he was bowled by none other than that Bollywood superstar Bobby Vijay Singh Deol; Rags blamed many things but in truth there was a bit of stage fright from the normally-calm surgeon of Bucks. Tickler entered the arena and the Deol magic proved powerful indeed as the man who normally is involved in jealousy, deceit and revenge had the Ginger hairdresser making his way back to the pavilion for 9. Kaz strode forward and made a swift 15 in an unconscious state as the innings came to an end. Clive had indeed built a steady platform and his 2 and a half hours of batting had produced 73 runs: he was looking as a possible for the Kensington man of the match, what with his run out as well. A sumptuous tea at the hands of Susan was taken and in no time we were underway with the Kensington openers racing to 52 off ten overs, and honours even from our opening pair of Kankate and Tickler (who you may not have realised, but had a bad back). Things were not looking good until Tickler deciding to bowl at the stumps and finally got his man, Kankate swiftly followed with a wicket and the fickle finger of cricket fate was all of a sudden pointed in a different direction. Tickler now playing off pure adrenalin decided to push himself ever onwards, taking another couple of wickets. Kensington were starting to buckle but then in stepped Deol; the Ginger hairdresser remembering the victorious Deol bowling decided to write his own script as the first ball fizzed past the batsman at Mach 0.0001. Tooby, fearing the scenes in Mumbai of Peli flags being burnt if this Mumbai hero was out, hoped for restraint but our Ginger Hairdresser now snorting like a Pamplona Bull came in again and smacked the Deol Crown Jewels. If you listened you could hear a trillion women wailing, effigies of a Ginger were being burnt and all the diplomacy after Top Gear’s Christmas Special was being thrown away by the Ginger Hairdresser. After softening our Bollywood star up number three ball took the stumps out. Bollywood nil Pinewood 1, I think. The Four footer entered the scene and as before played his strokes and saw off yours truly; it was left to Kaz and Fraser to finish the Kensington boys off. Special mention must go to Butcher who batted better than I have seen him for a long time and then looked pretty sharp behind the wicket, and PG who was taken out by Tickler. The man of the match for Kensington was the four footer Nayal Junior and for the Pelicans it was both Clive and Tickles. Always a pleasure with Kensington. April is a distant memory, May has been ploughed through and it will be at least June before the Pelicans have to contemplate defeat as Amersham were vanquished on the hill. As match reports go, this will be one of the swifter ones as Amersham were shot out for 90 and the Pelis chased it down on the rapid side. Five overs in and that did not appear as if it would be the case as the Amersham openers feasted on some filthy Pelis bowling. The skipper and Butch were talking about having to chase 300, such was the carnage. Four overs for 28 prompted the Skipper to put Toobey out to grass – and prompted a large girly strop from the Northern legend. It might not have been popular with Toobes, but it allowed him to adopt his main role as Josh’s mental coach and it seemed to work as the tyro found a line and length not seen in the previous 4 overs. And with Tickler producing a fabulous 14-ball spell, the brakes were put on. With Tickles running out of steam and Josh running out of overs, the scene was set for JG and Asad to mop things up. And they did just that, JG’s boomerangs and Asad’s spitting leggies rolled Amersham out for 90. We switched straight round and Clive, on his first outing of the season, could already sniff himself a red inker. Chasing 90 is right up Clive’s street. He’ll punish the bad ball, block the good ones and let the runs and wickets flow at the other end. That’s pretty much what happened, sprinkled with a large amount of chirp from the Amersham boys. Verbals don’t have much of an impact when you’re defending 90, but 10 out of 10 for effort. Still it all allowed Clive to meander his way to 35 not out as the Pelicans chased down their victory target for the loss of just four brave men. There is a tale to be told about a strawberry blonde hairdresser and a pair of golf shoes and it would have dominated this report were it not for 10 mighty Pelicans snatching victory from the jaws of defeat at Hyde Heath. Turning up one man light and with a Pelican electing for golf spikes instead of cricket boots would demoralise most men, but not the Pelicans who overcame Hyde Heath. The skipper reverted to type and lost a toss, which did not look the best move given the pitch gave a passable impression of a swamp. 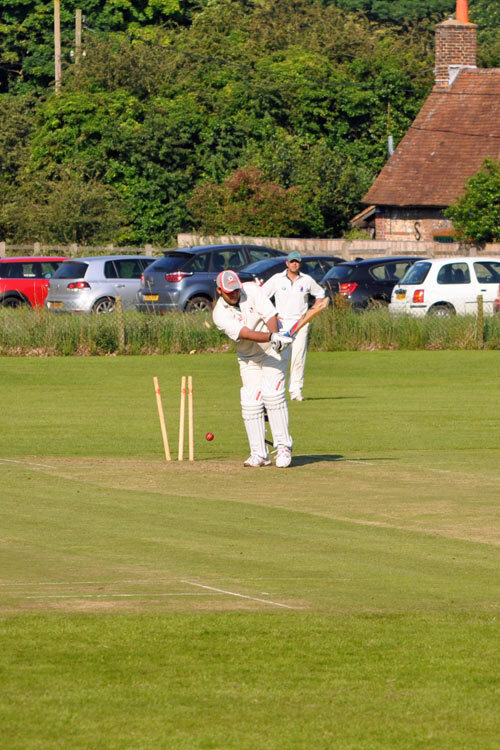 Pelicans swiftly learned that the best policy was not to stand and hold your pose after a good shot, as Bails crashed the first ball back past the bowler and saw it pull up 20 yards short of the famed Hyde Heath gate. 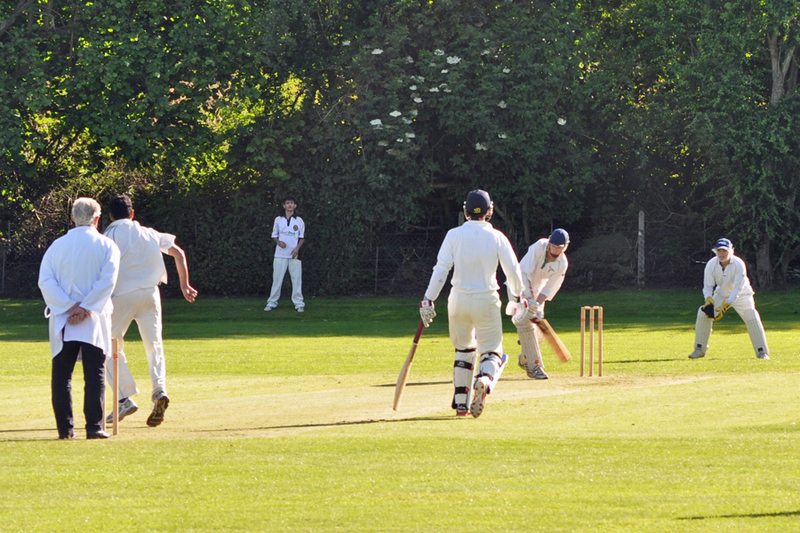 The lively Hyde Heath opener, not short of a verbal or two, took advantage of the conditions and sent Bails on his way with one that kept a little low. One became two as Bech lost his off pole and it looked like a short afternoon in store. Sushil and the skipper dug in and batting became a bit easier, so much so that the skipper went for a big heave and skied one. A Newman came in looking to rediscover his Butcher status. He did that in style, but not before the game got a little tasty. Oohs went up from the Hyde Heath brigade as a ball went a whisker past Butch’s off stump. The oohs were replaced by howzats as the ball came back off the keeper’s pad and took off the bails. A wicket was claimed, with Hyde Heath claiming Butch had been bowled. Hyde Heath asked him to go, Butch was unmoved as were umpires Bech and Bails. The tension rose. Butch eased the tension by smashing the ball all over the place. The Butcher has returned. Butch and Sushil swung the game back towards the Pelicans, allowing Tickler – who by now had found a pair of cricket spikes and so disposed of his golf shoes – went in and hit a few lusty blows before falling in his prime. Sushil stood firm and moved past 50 before falling to a catch of the highest order. The Pelicans fell shortly before tea for 152, which looked about par. Josh, fresh from his hat-trick seven days previous, bowled at a million miles an hour. When he chose to bowl in the right place he was too good for the Hyde Heath opener. Struck in front of middle, the lbw appeals turned to celebrations as the umpire’s finger went up. The celebrations were, however, cut short as said umpire, with finger still waving in the air, said it was missing the stumps. Toobes took up the challenge and got himself an average for the season by snapping up a caught and bowled – May 20th and our northern hero gets his first wicket of the season. Despite some impressive Pelican bowling, Hyde Heath were well on course for victory at 90 for 2. 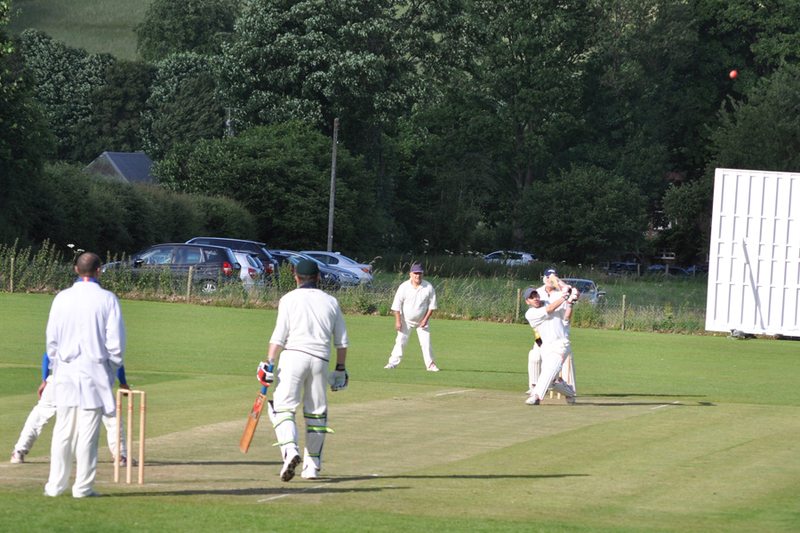 But Sushil came up with a Pelican yorker that prised out the Hyde Heath opener. With Asad and Sushil tightening the screw, the balance of power changed. Heading into the final 10 overs, Hyde Heath were just about favourites but one of them had the good grace to run himself out. The Pelis sensed victory. Bech, rolling back the years, almost pulled off one of the great catches in cricket. It was one of those where time stands still as the fielder plunges to his right and for a second has it, only for it to slip out. There’s no doubt that he saved four. While Bech had nothing to say sorry for, aside from cracking his head on his car boot and drawing blood, Tickles must surely be still hanging his head in shame. 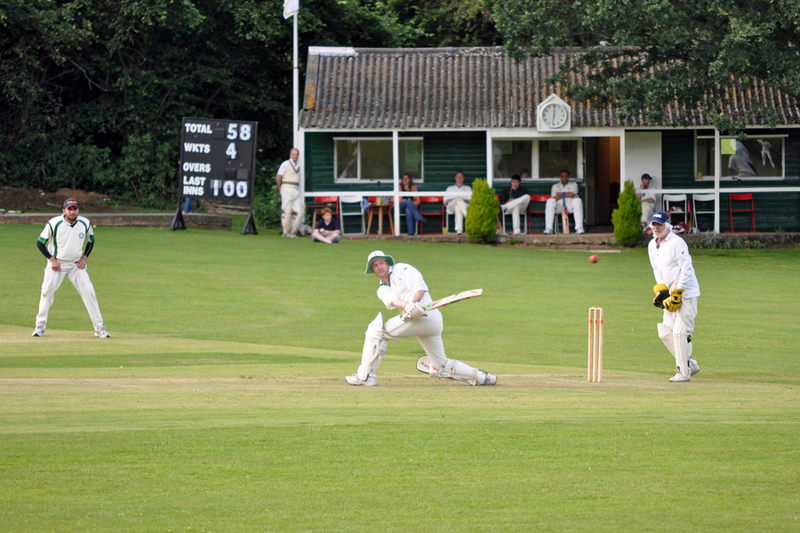 With Ticks stood on the boundary at square leg, the Hyde Heath. No. 9 chipped the ball out to Mr Strawberry Blonde. This thing was travelling at roughly 15mph. Ticks was primed and ready for his moment of glory. And promptly shelled it. He didn’t just shell it once, he had a second grab and put that down as well. Oh the shame. The rest of the team were of the opinion that he would still have dropped it even if he had worn his golf spikes, rather than the borrowed cricket boots. With the game on a knife edge, and the Pelicans not put off by the sight of Jalil reliving his childhood by playing on the swings (I kid you not), the skipper tossed the ball to Josh. He whipped out No. 8 and one ball later sent No. 10 packing. He avoided a second successive jug with a woeful hat-trick ball. The Hyde Heath skipper had the task of saving the game. Josh softened him up in the gathering gloom with a couple of beamers and then knocked over his middle stump. Job well and truly done and the unbeaten run continues. It’s time to unveil the new website honours board, we have a contender, and as the sun finally came out the Pelicans remembered how to win a game of cricket – just. The men from Ibstone bumped into Josh Bailey, no longer a boy but a man, a wiry nine-stone lump of man, who ripped out the heart of the opposition middle order with a hat-trick. Working in tandem with birthday boy Toobes, who did not look a day under 50, Josh claimed four of the top five – including the No. 3 who had the look of a ringer judged on his batting, fielding and somewhat pacey bowling. While Josh was claiming wickets and Toobes was containing, other Pelicans were not faring quite so well. A cocktail or two too many had the Buctcher and the skipper in a fog, while Nando’s chicken was the excuse for Bails’ dropped catch. There were no real excuses for Gov, who in averting a Duck-like moment of flying into the hedge, tweaked a hamstring. More on that later. The Pelis did not need to be at their best to shoot out Ibstone and it was left to ‘go-to’ man Bails to claim the final wicket. The skipper was expecting a fizzing, turning, spitting cobra of a ball. It wasn’t quite that good, but certainly effective as just between the second and third bounce the Ibstone No. 11 scooped the ball in the air and amazingly Josh took the catch. Caught Bailey, bowled Bailey but not in the order you’d expect. With Ibstone out well before tea, the Pelicans lashed on the pads for a 45-minute hit. It almost turned into 45 minutes of carnage as the Ibstone ringer, a former Royal Marine as it turned out, came running in from near the sightscreen at a rate of knots and propelled the ball down at a fair old lick. Bails and JG saw off the first over, but Bails was undone promptly at the other end. Butch, having just about emerged from the fog, was on his way shortly after arriving courtesy of an absolute snorter from the ringer. Tea was taken with the Pelis two down. JG and the skipper were expecting a working over after tea, but Ibstone decided to take off the pacey fella and mix things up. It sort of worked as wickets fell at regular intervals but the skipper found an ally in Kaz who hit a couple of meaty blows to get us within reach. The skipper and Kaz fell with the winning post in sight, but Bech – the mediator – has the calmest of heads and he was never likely to do something rash. But with the scores level, he called Gov for a single. Time sort of stood still as the hamstring gave way and as he hobbled down the wicket the stumps were thrown down. Gov took a bit of time to get off the pitch, not in protest simply because he could hardly walk. His exit set the scene for birthday boy Toobes. Having done his bit by aiding Josh with the ball, he promptly strode out and shovelled the ball through cover to seal the first win of the season. Mother Nature teased and tantalised and ultimately brought an early end to the season opener with Fleet Street Strollers. The Strollers arrived at the Meadow with the ICC questioning their eligibility, given they were packed with an army of South Africans and Australians. Still, things started brightly – metaphorically and literally – as under sunny skies the skipper won a toss. It wasn’t a difficult choice as having squelched out to the square to throw the coin in the air, we asked the Strollers to have a bat. Toobes shocked his mates by starting the season with six straight balls. 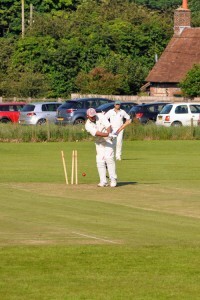 Straight balls did not bring wickets, so it was left to his younger partner Josh to make the breakthrough – whipping out both openers with a couple of beauties. Josh’s bowling had wintered well, sadly his fielding hadn’t. Stroller number three, a handy bat as it turned out, sent the ball flying Josh’s way. Our young hero took a step forward, set himself and the ball crashed into his wrist and hit the floor. Asad shrugged off the drop, so he should as he put down an easier one off his own bowling later in the day, and justified the bookmakers’ decision to install him as the early favourite for the bowling award by whipping out three victims. The good bat had moved on to 70 before he was finally prised out. Gov was the man to get him. This was a Gov who thought he’d make an impression with new wife on his arm and turn up a fashionable 45 minutes late. Married life has brought out the wild side in our mild-mannered friend as he decided to rough up the batsmen with an array of beamers. When he decided to bowl below waist height, he did a handy job. Before Gov’s arrival, Tiger took up the charge and we came close to the never-ending over. Four balls, four wides had our American vowing to get the wife and kids padded up in the garden next week for an intense net session. It transpired that the Strollers did not have much else other than Ricky Ponting but they still posted what we felt was an impressive 164. It proved more than impressive, although they were aided by a pitch that dried out and brought up its inner demons. Having been low before tea, it was up, down and the occasional bit of sideways. JG and the Butcher showed stomach for the battle, but a clutch of Pelis failed to deal with the conditions. Things looked bleak when Toobes strode out, but having lined his stomach with THREE oversized plates of Susan’s finest tea, he flew the flag for the North. A few shovels and a couple of nudges and nurdles raised hope of a draw. The rain arrived and Toobes let down the North by giving away his wicket, clearly seeking shelter. Tiger had a point to prove after his bowling. He got exactly seven strides from the pavilion when the aforementioned Mother Nature elected to dump her load all over the Meadow – bringing an early close to proceedings. Honourable mention to Pelis debutant John Cullen who showed promise with the bat but it was in the field that he caught the eye. A couple of misfields prompted Jalil ‘the Panther’ Rehman to say “pick him every week, he makes me look good!” Time will tell how that statement stands up. 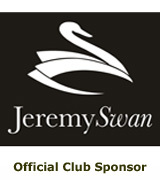 Jeremy Swan Ltd has been covering Great Missenden and surrounding areas with property services since 2006. Properties range from cosy cottages and smart apartments to larger more exclusive properties. From their shop in Great Missenden High Street, their service combines the personal touch with professionalism and unrivalled local expertise.